Toilets account for about 30% of all domestic water use, and are often the biggest single source of water waste in the home. By replacing old, inefficient toilets and eliminating leaks, you can save thousands of gallons of water each year! Toilet technology has come a long way in the past few years. Some of the original low flush models were frustratingly inefficient, often requiring several flushes...which defeats the purpose! Fortunately, newer models have eliminated that problem. The U.S. E.P.A. has developed the Water Sense program which independently tests low flush toilets for performance, efficiency, and quality. 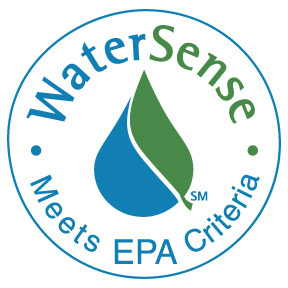 When choosing a new toilet, be sure to look for the water sense label. The newest generation uses as little as 1.28 gallons per flush, even less than the standard set in 1992 of 1.6 gallons per flush. Compare that to pre - 1980 models that use 7 gallons per flush. 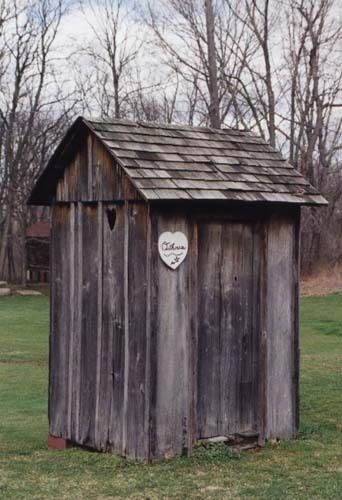 -Gravity Flush toilets are the traditional type. Newer technology has greatly improved their performance. -Pressure assist toilets have a vessel in the tank which pushes the water quickly through the bowl. They tend to be more expensive (and louder) but have outstanding performance. -Vacuum-asssist toilets are similar to gravity flush, but with a design that creates a vacuum to help pull waste through. Also more expensive than traditional gravity flush. 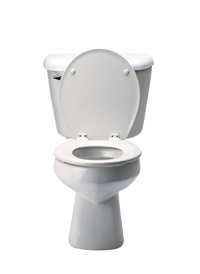 -Dual flush toilets have 2 buttons, one for solids and one for liquids that uses less water. These are a great way to really fine tune your flushing needs! Check your toilet for leaks. Even the most efficient model can waste a lot of water with a small leak. Put a few drops of dye in the tank, wait about 15 minutes and look for the coloring in the bowl. If you see coloring, you have a leak that is wasting lots of water. You may need to replace the gasket in the tank, or the entire tank assembly (which is really quite easy and inexpensive). Finally, don't use your toilet as a trash can. Avoid throwing and flushing tissue or bathroom trash down the toilet!